A classic hoodie for easy layering. Zip up a comfortable layer for cool morning workouts or your trip to the gym. 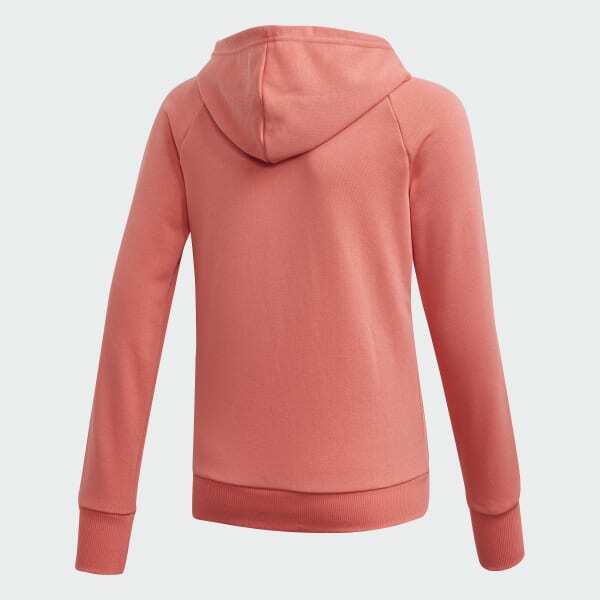 This junior girls' hoodie is cut for a regular fit with a straight silhouette that fits smoothly over your workout wear without being too baggy. The French terry hoodie is made of soft cotton and recycled polyester.